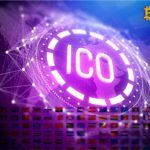 In the first quarter of 2019, ICO projects attracted $ 118 million. This is in 58 times less than last year, when the figure was $ 6.9 billion. The Wall Street Journal reports, citing data from the TokenData analytical resource. As the media notes, investors fear the actions of regulators in respect of projects that do not comply with legal norms, and feel insecure because of the current bear market. Note that out of 2500 projects, the development of which TokenData has been tracking since 2017, only 45% managed to attract funding. Moreover, only 15% of successful ICO tokens are traded at the issue price or higher. The material also states that the focus of the private sector and regulators has now shifted to STO. 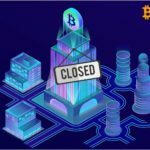 Recall that over the past few months, the US Securities and Exchange Commission (SEC) has filed charges against ICO-startups Paragon, AirFox and Gladius. It is worth adding that, despite the unfavorable market conditions, the venture capital firm Pantera Capital managed to attract $ 160 million for the third investment fund. Thus, the project has already implemented 11 portfolio investments worth $ 38 million. © 2018 bit.news | queries 228, for 0.447 sec.